tags: Birthday card, Online Shopping, Ronald McDonald House, Stampin' Up! 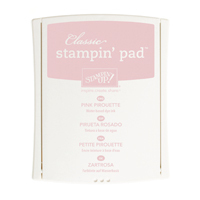 You may or may not know that Stampin’ Up! is a great supportor of the Ronald McDonald House Charities. This year the Ronald McDonald House Charity stamp set is Sprinkles of Life. 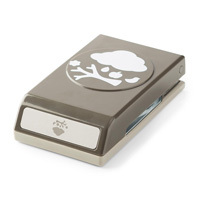 Every time someone purchases this stamp set, Stampin’ Up! will donate $3.00 to the Charity. This year you will find the stamp set on the inside of the back cover. It is a gorgeous stamp set with lots of great images and sayings AND it matches the Tree Builder Punch which is a new addition to this year’s catalogue. 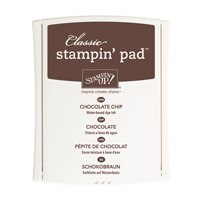 I embossed Whisper White card using the Large Polka Dot Embossing Folder and attached it to scored and folded Chocolate Chip card. I stamped the cupcake base onto Whisper White card and cut it out using a Circle Framelit Die. I attached the stamped circle to a Pink Pirouette circle punched with the 2-1/2″ Circle Punch. I stamped the cupcake icing onto Pink Pirouette card using Pink Pirouette ink and punched it out using the Tree Builder Punch. I attached the panel to the left hand side of the card front using dimensionals. I cut a banner from Chocolate Chip card using the Bitty Banners Framelits Dies. The greeting is from the same stamp set and I stamped it on Whisper White card using Chocolate Chip ink before punching it out using the Word Window Punch. The greeting is attached to the banner and then to the card front using a dimensionals. I stamped the small flower from the stamp set onto scrap Whisper White card using Chocolate Chip ink. I didn’t check my Tree Builder Punch too well because I completely missed that it has a matching punch for this flower! I punched mine out using one of the circles on the Owl Builder Punch. The flower is attached to the cupcake using a Glue Dot and to finish it off I added a small Basic Rhinestone to the centre. Inside the card I stamped the candle image, also from the Sprinkles of Life stamp set, onto Whisper White card using Chocolate Chip ink. I am very sure that this stamp set is going to become a firm favourite of mine and yours as well. Don’t you think? 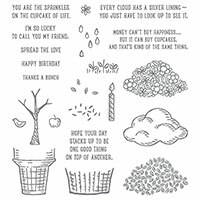 from → Birthday Cards, New catalogue, Ronald McDonald, Shop online, Stampin' Up!